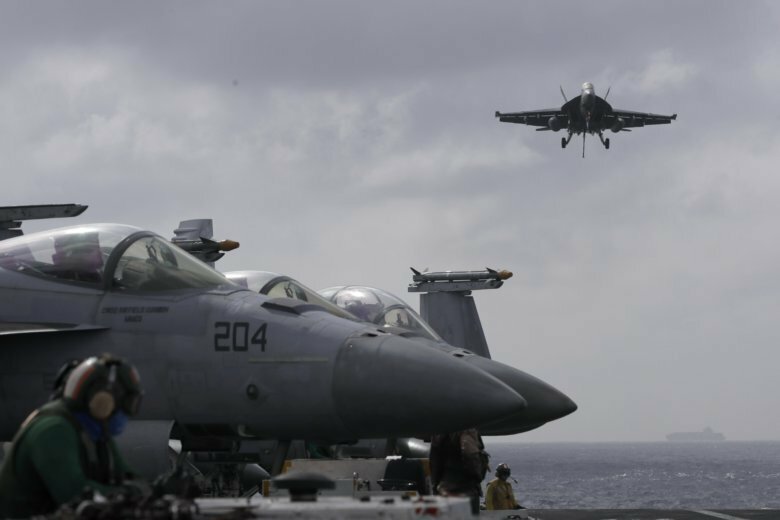 HONG KONG (AP) — A U.S. aircraft carrier docked in Hong Kong on Wednesday, days after a pair of American B-52 bombers flew over the disputed South China Sea. The arrival of the USS Ronald Reagan and its battle group in the Asian financial hub is being seen as a friendly gesture ahead of a planned meeting later this month between President Donald Trump and Chinese leader Xi Jinping. That will mark the first time they’ve sat down together since the start of a bitter trade war and amid tensions over the South China Sea. The Reagan’s visit comes two months after China rejected a similar request by another U.S. Navy ship amid a spike in tensions between the countries’ militaries. “This recent mission is consistent with international law and United States’ long-standing commitment to a free and open Indo-Pacific,” the statement said.